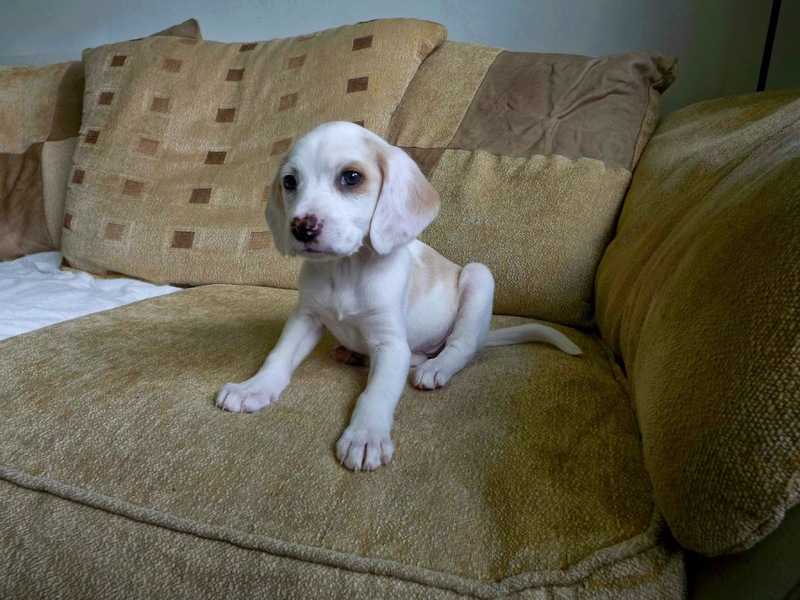 Lifestyle | Meet our new Lemon Beagle puppy Willow. This week something bloody amazing happened!... We got a puppy!! *Insert ridiculously girlie scream here!! * Dan & I have wanted a dog for honestly, as long as I can remember, but because we've been living in a flat two storeys up we thought it'd be pretty difficult & unfair on a newborn. However!...We're moving house this week into very our own home with a garden & let's be honest, we didn't really need an excuse to buy a fricken adorable puppy, but that's what we're blaming it on! From being a little girl I've always wanted a beagle, there's just something about the breed that really struck a chord with me. Maybe it's the colouring, maybe it's the super duper long ears, maybe it's the naughtiness, maybe it's all three - Who knows? But I love 'em!! 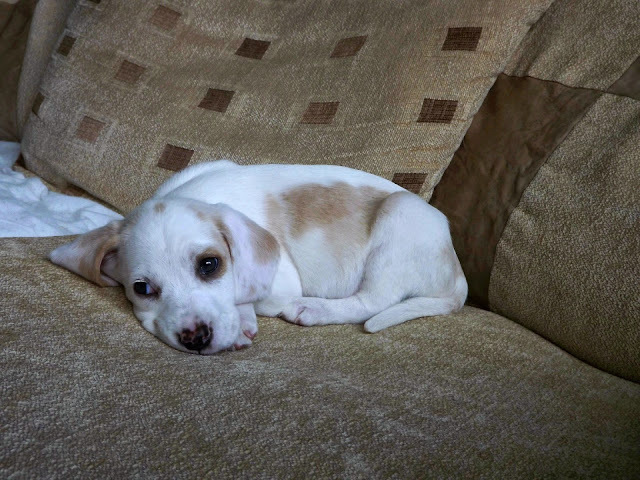 We put a lot of research into getting our little beagle pup & this is where we discovered the Lemon Beagle. As far as I was aware beagles were black, white & tan (tri-coloured) I had no idea a Lemon Beagle even exsisted, but let me tell you, my heart melt when I saw them! Still keeping the typical beagle pattern, Lemon Beagles have a white, caramel, tan colouring - In other words, they're flipping beautiful!! I knew we had to have one!! We used pets 4 homes to search for our perfect companion which is a really helpful & easy website to use. By the looks of it you can advertise pretty much any animal for sale which is cool. 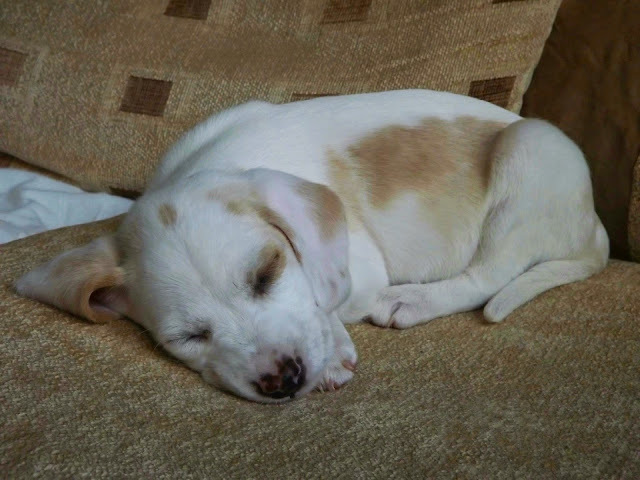 After a few hours of searching (it didn't take long at all) we found the most adorable 8 week old pup! There was only Willow & 1 of her sisters left when we went to visit, so it was absolutely heart breaking choosing between them & breaking them up. Luckily for us the other pup was being collected a couple of hours later, making light of the situation. We've had Willow for three days now & even though she's been a little bit naughty (which we can totally look past, because she's so young) she's been unbelievably good! She seems to have settled really well & has almost (barring the sofas) differentiated between what's hers & what's ours in the home. We've gone straight in with toilet training because it's something we thought would take a really long time for her to master, plus we didn't really know how to do it. Eeek! Surprisingly however, she's picking it up rather quickly! We've given her a specific toilet area, with newspaper down on the floor & she's really taken to it. She's still having a few accidents, every now and again, but what she's learnt so far is amazing, we're really impressed with her. We've found out after bringing her home, that beagle's are supposedly renowned for being quick learners so I think we've got a good'un! Willow hasn't had her full injections yet, so we can't properly take her out unfortunately. We're hoping to get booked in at the vets this week so she can have both sets of injections & then start going for walkies. All in all, it'll be another 4 weeks before she can go outside properly which feels like absolutely ages away at the moment - Hopefully it won't take too long! At the moment Willow is really snuggly - I think she's used to having her brothers & sisters around to cuddle into! Once she gets cosy, she can literally sleep for 80% of the day & loves snuggling into cushions, throws & pillows which is the most adorable thing! She looks ridiculously cute with her long white ears flopping down over her eyes!! Argh - I could just eat her!! She's so bloody beautiful. I'm thinking of of creating a series on xclaireabella based around Willow. Let me know your thoughts? Dan & I like to get out & about and explore the local countryside anyway so this could be a good excuse to get some amazing puppy based photography. Have you got any tips for training a new pup? We'd love any tips & tricks you've got! 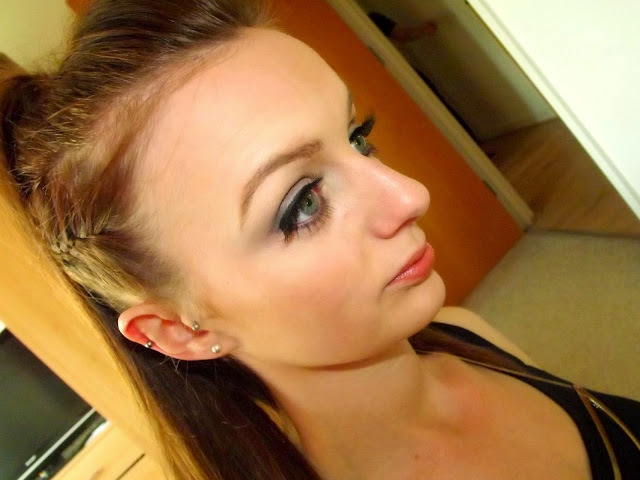 I used to really dig fake eyelashes when I turned 18 (all those many moons ago) & started going on nights out, getting all dressed up & being all glam, trying to impress the male population. I really loved the effect they had on my eyes & it felt amazing to have lovely long fluttery lashes. I went through a stage of wearing them quite repeatedly & to be honest I'm not entirely sure why I stopped. I haven't worn falsies for at least four/five years now & quite frankly the thought of applying them now seems like such a chore. When my inbox pinged with a message from Esqido asking if I wanted to try their fake lashes I jumped at the chance. For me there's something so reminiscent about fake lashes, wearing them takes me right back to my younger days, enjoying cocktails with friends & dancing on tables - Those were the days! I also wanted to test myself, just to check whether I'd lost the skill of applying falsies, because we all know it's not the easiest task in the world! 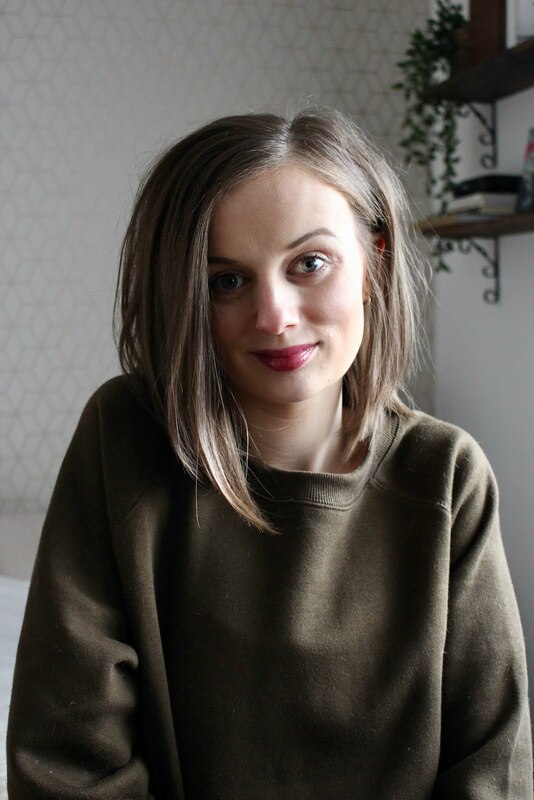 Esqido isn't a brand I'd heard of before, maybe because of my recent laziness when it comes to false lashes, but after having a browse on their website I knew I was in for a fantastic experience. The first thing that stood out to me was the price - Call me stingy, but I used to buy the Eyelure lashes which came in under £10 and after noticing the Esquido false eyelashes range from £25 to £32 I had high expectations. 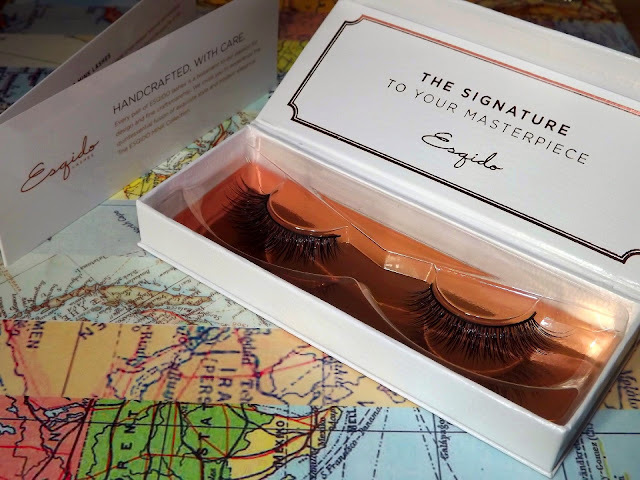 The concept behind Esqido's mink eyelashes is that they're much more lightweight, more comfortable & really natural looking - One of those 'my lashes but better' (& it pains me to write that) type falsies. I was lucky enough to receive the 'Unforgettable' mink false eyelashes, a gorgeous set of super long, winged lashes. The first thing that shone out to me, signifying the price difference, is the packaging. How beautiful is this packaging! Although I'm a sucker for a well packaged beauty product, for me it's not the be all & end all of a cosmetic. 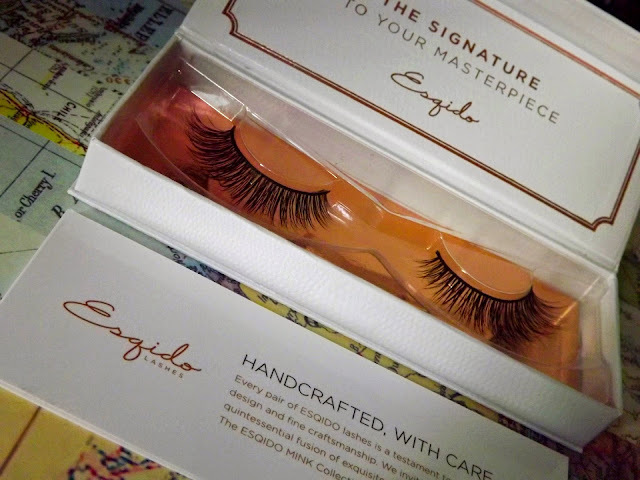 There's a lot of brands nowadays that are incorporating the ever growing copper trend into their products, and even though I do think it's a little repetitive the metallic background reflects the lashes brilliantly & I think it works really well in creating a brand for Esqido. The look these lashes provide is fantastic! I'd forgotten how fabulous wearing false lashes felt & these from Esqido were no exception. Once on they instantly made me feel all glamorous & princess like which was fantastic. They make my face appear so much more feminine & I really love the overall appearance of these lashes. The lashes feel really delicate & are probably the most lifelike feeling false eyelashes I've tried - To me this really made a difference & gave a much softer look. These lashes are ridiculously long! I needed to cut a good quarter of the strip off before I could apply them to my lids without them looking silly. But maybe I've got weirdly small eyes, who knows? The false eyelashes felt really heavy on my lids after applying - Admitently this did wear off after a bit of time & after I could get used to the weight but it really surprised me how heavy my lids felt after applying the false eyelashes. Esqido lashes claim to last up to 25 uses, so these will be my go to lashes for any special occasions coming up. I love the look of these lashes & truth be told I can see why they're a pricier false lash however if I was to buy any more in the future I'd probably stick to Eyelure, purely from a price perspective. Have you tried any of the Esqido lashes before? What are your thoughts on their products? Travel | Griffon Forest Lodges, Yorkshire, UK. 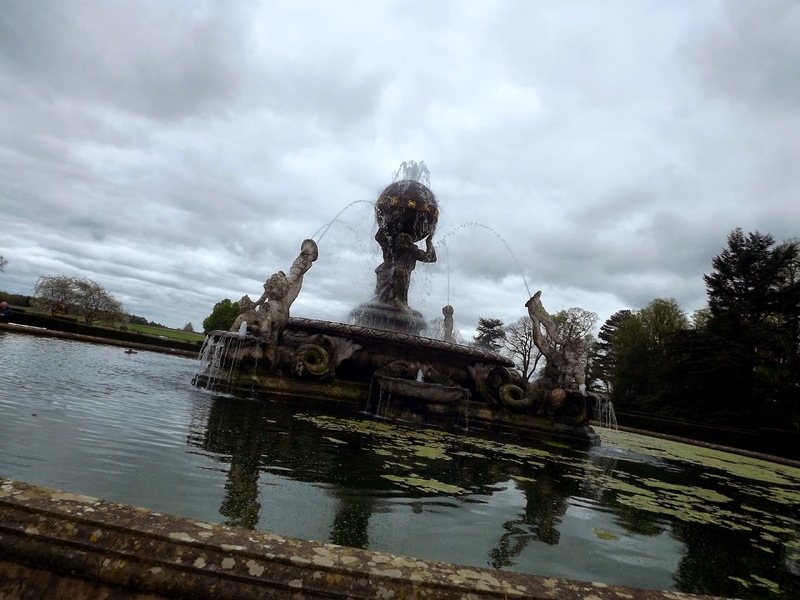 Where have I been?... It really takes a lot to get me stressed, but (& I'm sure you'll agree) there comes a point after working continuous 40 hour weeks where your brain slowly begins to frazzle. The pressure of buying our first house together (mainly because we don't know what we're doing) has really taken it's toll on Dan & I. And after just over two months of the buying process, we're very nearly homeowners, we can see the light & the end of the tunnel now & it's finally getting to the stage where we can get giddy about having those precious little keys in our hands! Miraculously finances have worked in our favour & we had a little bit of left over money to treat ourselves with, which was amazing... Hence a no phones, no internet, no stress break to Griffon Forest Lodges. 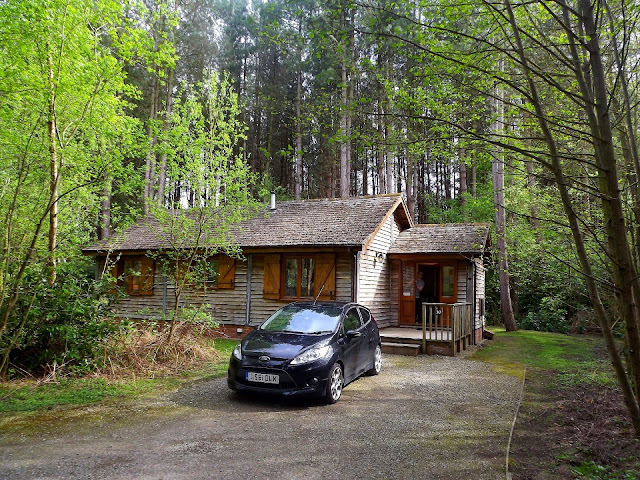 The lodges are set in Griffon Forest (Duh) just outside of York, which was a perfect location for us as it's only an hours drive from home. 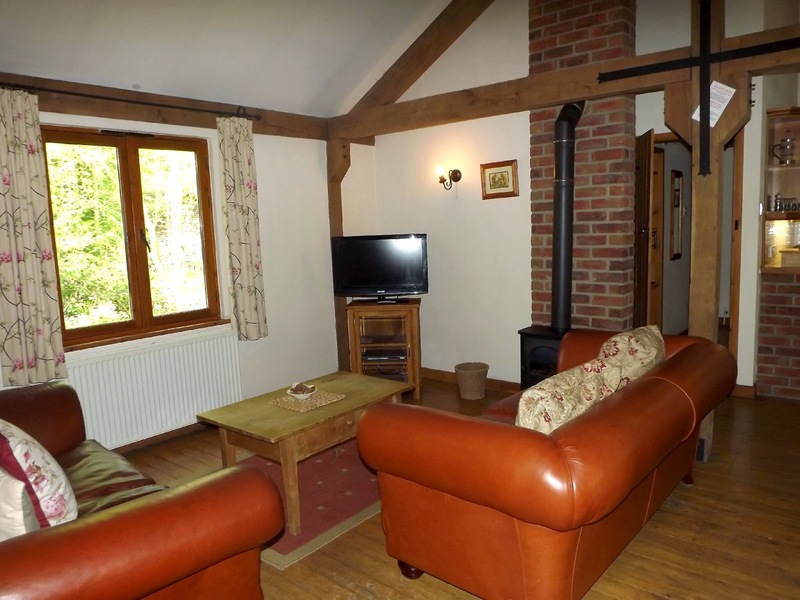 We've stayed in a similar lodge before so we kind of had an idea on what to expect, but how this one differed massively is just how outdoorsy & close to the woodlands the lodges are. 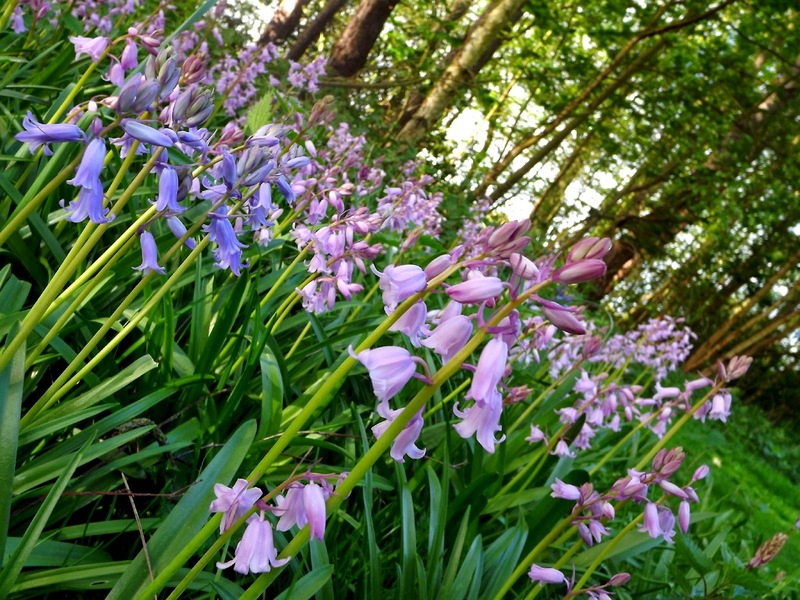 Surprisingly there are over 50 lodges on the complex, but because each lodge is privatised in its' own little woodland setting, you wouldn't have a clue. It's so peaceful & serene. 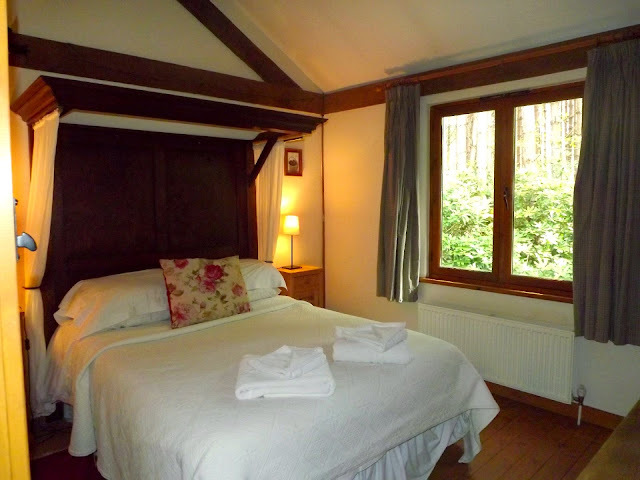 The lodges are decorated in a typical log cabin style, heaps of pine & tonnes of cosy fabrics to snuggle up with. Griffon Forest Lodges have everything you could ever want, basically they're the most stunning homes from home... Only with a hot tub! Gahh I miss that hot tub already, it was amazing. 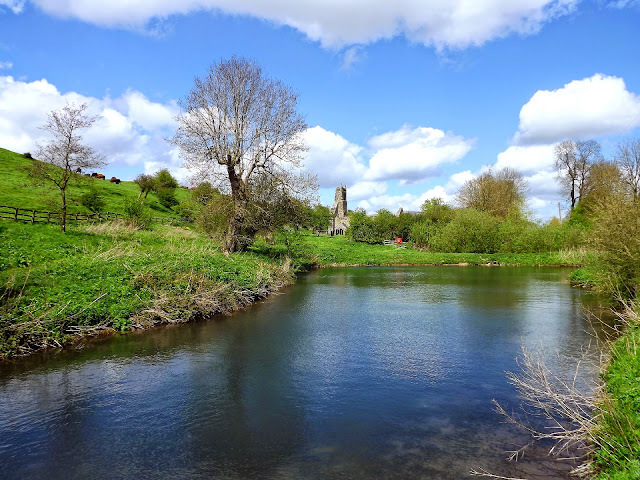 We decided to get out & about, and explore as much countryside as possible and even though we forgot our flask we took both our butts on an 8 mile hike. 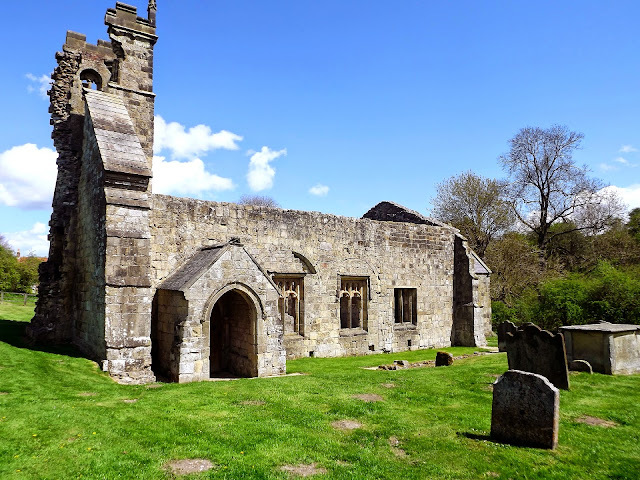 We walked from a teeny tinny (& pretty creepy) village called Thixendale (sorry if you live in Thixendale) right over the valleys to Wharram Percy, an aincent village with the most beautifully ruined church. I love finding hidden treasures like this! I think people underestimate how beautiful the UK can be. 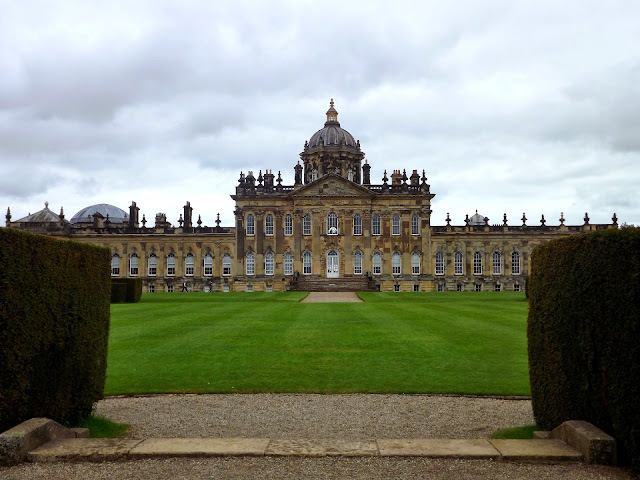 We also spent a day at Castle Howard, which in all honesty I'm still not 100% what it is, or who it belonged to, but let me tell you something - It's bloody stunning! With over 2000 acres of surrounding woodland & gardens as well as the actual house itself you could literally spend all day there. 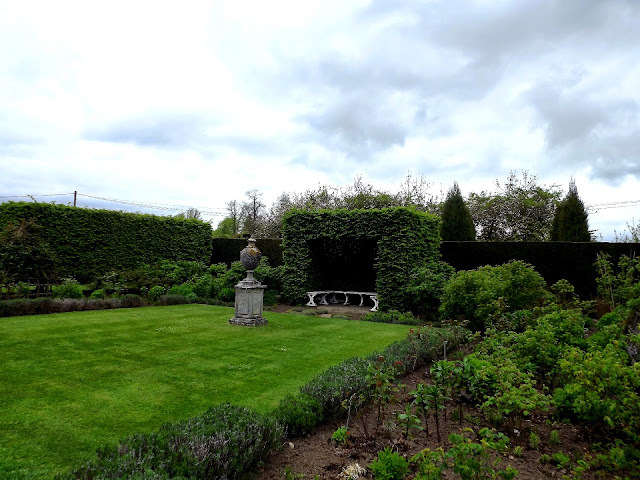 I'm really into architecture & interior design yet it was the outside space that blew me away - It's certainly given me ideas for my own garden in the new house... Even though we have nowhere near the amount of space! 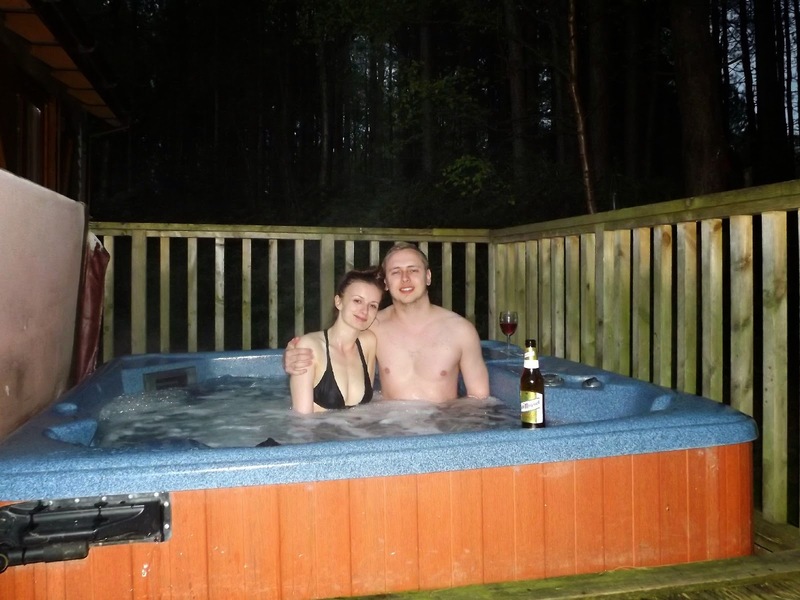 We spent an amazing, blissful five days in the lodge which is exactly what the doctor ordered. We were out exploring most days (I didn't want to bombard you with scenery photos) so it actually feels like it's been a really tiring week, especially on my little legs, but it's been fantastic. 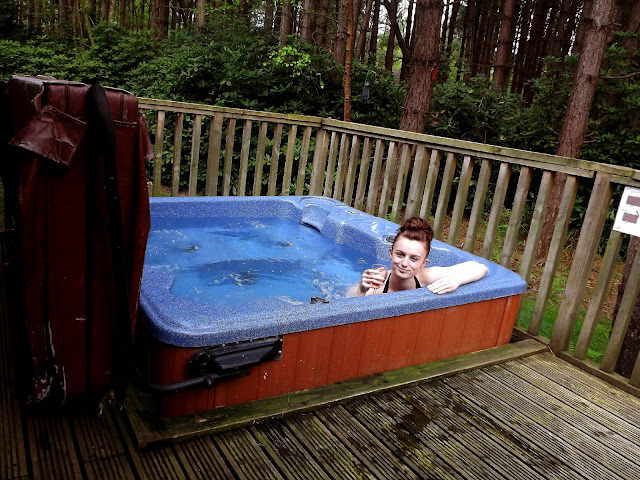 Perfect to get away from it all, forget about the house stress, the social media pressures & get back to basics... Not that a hot tub's a basic, but you know what I mean. I'm sure I'll be back blogging regularly in the next week or so, but for now I'm just going to chill out and relax & more importantly wish I was still in the tub!